VR, long the fantasy platform of video games and futuristic movies, is being applied more and more to businesses and the lives of consumers. MarketsandMarkets reports that VR will be a $34.1 billion market by 2023, while a Worldplay report finds that 65 percent of consumers believe that VR can change the way people shop. The use cases for VR in packaging are growing, too. In the fast-moving consumer goods (FMCG) market, the VR revolution is already underway, as companies are not only experimenting with VR, they are incorporating into their core packaging processes, using virtual representations of package designs at every step of the workflow and every part of the packaging value chain. Companies like L’Oreal created a virtual reality room called the “Beauty Lab” to increase efficiency during the packaging decision making process. For example, L’Oreal’s Dermablend brand tested its new packaging design in the lab, rendering the packages with 3D modeling and placing the product inside a virtual Ulta store. From there, the brand brought in a focus group and requested feedback on the different branding and packaging. 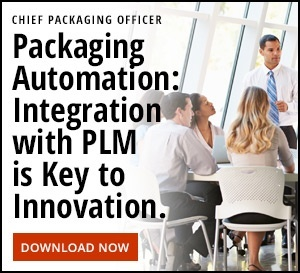 They found that the packaging and messaging still clearly differentiated itself from its core competitors and these results gave them confidence in the packaging refresh. So how can you take advantage of VR technology in your brand’s packaging process? 1) Create more accurate package comps. The art of mocking up a comp package is limited when it comes to special effects, especially those that command a premium and are found on prestige brand bottles and boxes or luxury or gift-able items. The materials for these packs are usually expensive, driving up the cost of the comps, even as the accuracy of comped premium finishes declines. Foil finishes, coatings, crimping, embossing, hot foil stamping, metallic inks, opaque white, clear boxes, matte and gloss varnishes, holographic foils, iridescent pigments: these are just some examples of things you can’t actually achieve on a comp or mock-up, outside of an actual production run. (And a production run is at least 10x more expensive than a comp.) Another tricky example is a clear shrink sleeve on an opaque bottle: how do you comp that? You simply can’t create an accurate representation of that with a mockup. The ability to visualize before you produce anything helps test and reduce cost. 2) Get approvals for your package concept faster. The whole point of printing, cutting and folding a package into a mockup is to give brand leaders confidence that their packages will look good at the end of the long packaging process. Imagine buying a house based on blueprints alone – never seeing even a rendering by an artist or computer-aided design software until move-in day. Nerve-wracking? Absolutely. Just like you’d never buy a house sight unseen, you probably don’t want to rely on dielines alone when gaining product packaging approvals. When they see a visualized concept in 3D, instead of an abstract dieline, the product and accompanying package become a vision of the future instead of a spatial intelligence test. With VR, you can achieve visualization and save on the costs of printing, shipping, materials used and time spent by virtually mocking up a representation of a package. This also allows designers to show executives virtual mockups early in the process to get feedback when it’s most useful and least costly to incorporate. VR takes much of the physical labor out of the mockup process, but it also allows the executive to not have to do much of their own visualization. If an executive has to imagine how a flat proof will look in a grocery store aisle, her confidence in the design will be zapped. By visualizing package design in VR, executives get a 3D peek at a package while easily being able to request changes—like color scheme—that could have previously taken days, perhaps even weeks. Because, the later you make a change in the packaging process, the more expensive it gets. Nobody wants to lose thousands of dollars if plates, die-tooling, etc. need to be remade due to a packaging change. 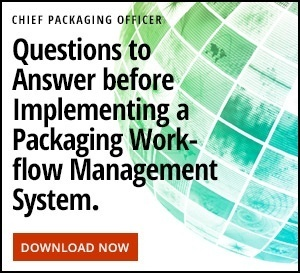 When teams virtualize product packaging early and gain the feedback and approvals needed quickly, they are saved from adjusting packaging layout, color and messaging while under pressure at the press. 3) See the final product package in a variety of contexts. Just as VR allows executives to see what the package looks like early in the value chain, it also permits them to see what the package will look like at the end of the value chain, on the shelf amidst the competition. After all, we’re not just designing packages to place into a museum; they must compete next to millions of other products. When you place a product in a VR environment, you can see whether the chosen color makes the package pop on the shelf or if it simply blends into all the surrounding competition. I’ve heard from beverage manufacturers who need their bottle to perform in a diverse array of environments: on the drugstore shelf, the grocery store shelf, at big box warehouse club stores, on the mahogany bar in a home, in a dimly lit club with modern bright white walls and mirrored glass. Having access to VR to test packaging in all those contexts—even down to a small shop in another country—is invaluable. And with so many expense and time constraints, there’s no expedient way to physically test all of those locations, making VR a valuable solution. Further, immersive VR technologies that use Oculus, for example, enable users to physically walk around a grocery store, bar or other created scenario and pick up items directly off the shelf, moving the product around and placing it next to other competitors and aisles in the store. It’s easy to see the value in constructing a virtual store (or a village of virtual environments) to improve your design and marketing messaging on the packaging when you see it in its intended environment. After all, the store shelf is where the battle for the consumers’ wallet is waged. 4) Enable faster, more sustainable consumer research. When the design concept is finished, brand leaders commission consumer research studies to see whether the package performs with consumers in different markets. In a process that can take up to 12 weeks, packaging mockups are couriered from city to city, allowing moderators to collect data and feedback from consumers from focus groups and roadshows. With VR, you can skip that long process by sending virtual mockups of a package to different physical events across the world at the same time, even leverage online consumer panels. Data collection and feedback that once took weeks can now be accomplished within hours. And as for sustainability? You’re saving materials and transport, reducing your carbon footprint. Based on consumer testing and feedback through VR interaction, designers can then adapt product packaging quickly to improve the quality and relevance of the final product at launch. 5) Predict the appearance of color on the intended production material. While many brands use color chips and swatches, they may not be utilizing online tools that virtualize the appearance of colors and textures. Digital dependent color standards allow designers to see how color will appear and how it might change based on the substrate it is applied to. Digital color standards can also be implemented into VR technologies. As with other VR applications, using virtualized color software helps anticipate production issues early in the creative process, when colors are selected and specified. If you’re not using virtual reality at all in your packaging process, there are many opportunities existing right now to bring VR into every part of the value chain. With VR, designers go beyond a product mockup and actually see a more accurate representation of how product will look in its competitive environment. The confidence this generates in designers and teams, and even leadership, produces the outcome of speed. In this way, VR simplifies the packaging value chain, making designers’ and leaders’ jobs easier and saving time and money. Once you start using VR in packaging, you’ll learn that the benefits are VVR (very very real). Next post Which Brands are Committing to Sustainable Packaging?